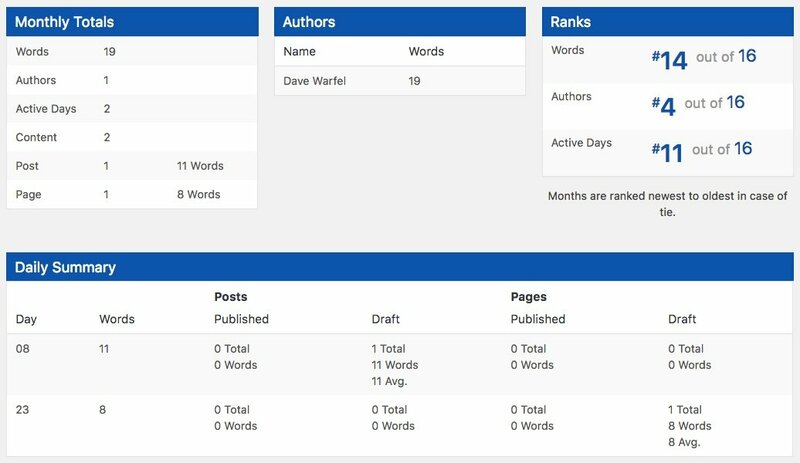 Provides detailed word count stats for your entire site, individual posts, authors & a monthly breakdown. WP Word Count is a free WordPress plugin that provides additional stats for the backend of your WordPress site. Most of this data is centered around word count, but there are some a few nice monthly breakdowns, as well as author stats to take a look at. In this WP Word Count review, I’ll be covering both the free and pro versions. The free version provides basic stats, while the pro version goes into more detail, and has a few additional achievements & milestones to motivate you to up your writing game even further. If you’re using the free version, there is no setup required. Upon activation, just head over to the WP Word Count menu item, and you can begin viewing stats. The pro version requires you enter a license key, and then click a button to calculate your stats. I believe the extra calculation step enables more detailed stats that are only available to pro users. There are a handful of ways to look at your word count stats. Let’s review each of them below. At the very top of the stats page, you’ll see two boxes: Published and Draft. This provides a word count comparison between your published articles, and those that are still drafts. There are a few, high-level stats you can see here. They are broken down by post type. WP Word Count supports posts, pages & all custom post types. Average word count: An average word count for each post type is also available. This could help you determine if you’re writing much longer posts for a particular post type. You might need to up your game on the post type that is lacking. If you’re serious about WordPress SEO, these are all metrics you should care about. Next, you’ll see a list of all your posts, sorted from highest to lowest word count. Pro Feature: Pro users can click the graph icon to view detailed word count information about each post. And all of these stats are available for each unique post type. Achievements is only available in the Pro version. It creates a handful of milestones related to the number of words you are writing on your WordPress site, and assigns a point value to each. You can keep track of the various milestones as you reach them. They give you some writing goals to strive for, both for your entire site as a whole, as well as your individual pieces of content. This provides a nice way to gamify your blog, as well as encourage authors to write more frequently, or produce more lengthy content. One other small detail this plugin provides is a Word Count column on the All Posts screen. It’s a small feature, but if you find yourself tracking word count often, it could be very helpful. 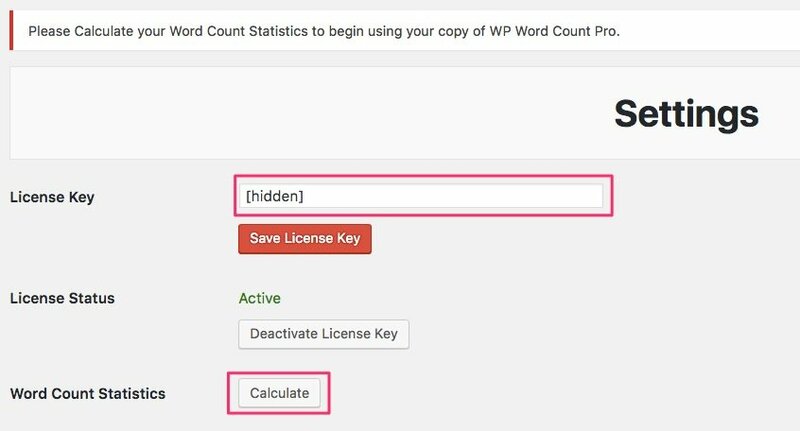 The WP Word Count plugin also comes with a [shortcode] so you output the word count on any post, page or custom post type. Simply use the following shortcode anywhere within your post to output the word count. NOTE: This only outputs a number. You can include two optional parameters to include text before and/or after the word count number. This is a well-built plugin that does one thing, and does it fairly well. If word count is a big focus for your site, then this plugin could definitely provide value. It does provide more word count related stats than any other plugin I’ve seen. But remember, word count isn’t everything. There are many other factors to consider when creating high-quality content. 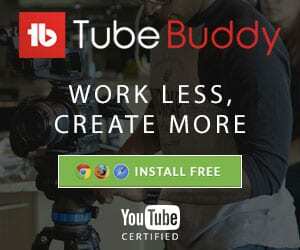 Increase the video speed to 1.25 or 1.5x to save some time.